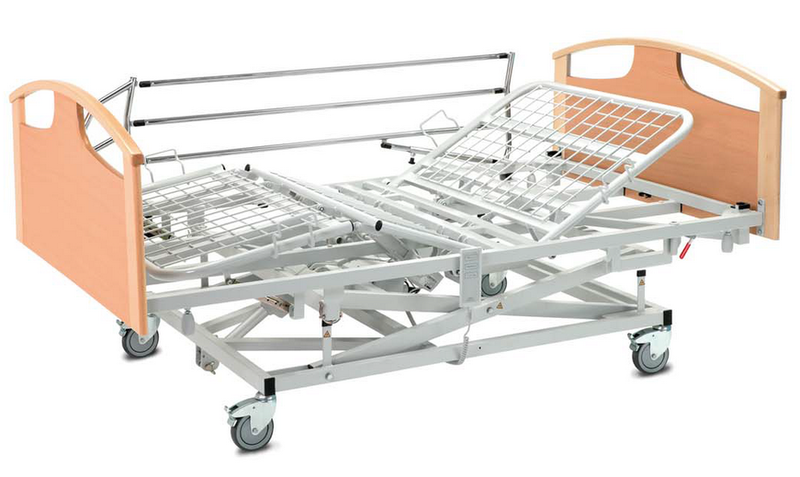 The Emperor Atlas Community Bariatric Bed is a strong and sturdy scissor action designed specifically to assist the nursing procedures for bariatric patients. The easy to use patient controls allow the back rest and knee break to be adjusted at the touch of a button, allowing for greater patient independence and enhancing patient comfort. 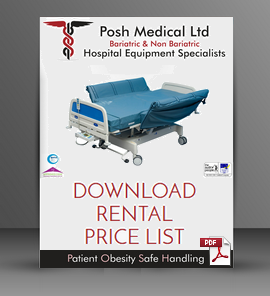 With a safe working load of 50.4 stones and the option of a mattress extension piece for taller patients, the Emperor Atlas Bariatric Bed offers versatility and reliability for patients and carers alike. Castors: 12.5cm with individual brake.